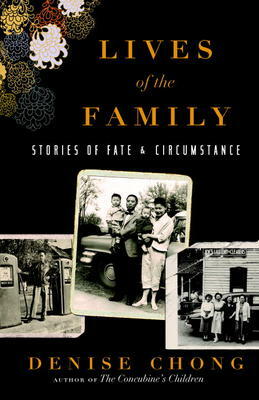 Denise Chong is a first-rate reporter who lives with her family in Ottawa and has written three books before this current Lives of the Family. In this one she writes intimately of the Chinese who immigrated to towns in Canada to escape perilous times in China, that include the war with Japan and the Communist takeover. She concentrates on the Chinese who came to Ottawa, and smaller towns such as Perth, rather than the Chinatowns of centres like Vancouver, Toronto or Montreal. The result is an up-close look at these quiet, brave people who usually ran cafes or the local laundry. They were often sending money back to China, to help bring other members of the family to Canada. It meant working almost full-time. During the 20’s and 30’s of the last century, there was no Chinese radio, or TV, or cinema. They turned to each other for company, although the book also tells of the kindness and sympathy from Canadian neighbours when they realized the situation. By 1975, the Ottawa Chinese Community Service Centre (OCCSC) had opened and Chong acknowledges their help in writing this book, which also has photos of the families as they got started. Chong’s earlier books are: The Concubine’s Children, The Girl in the Picture and Egg on Mao. Chong quite often gives talks in Ottawa. She gives and unusually vivid picture of the Chinese who live here.